Two politicians… One is a leader, the other is a natural leader. Lucinda Creighton can have our vote! Lucinda Creighton is a woman who is able to stand up to political bullies when it comes to governmental agendas. Lucinda has proved herself worthy of leadership status. Good Counsel Network volunteers will happily give her their future votes. What we like about Lucinda Creighton as a politician is her honesty. Its hard to believe, but Ms. Creighton confessed her involvement in a pro-choice lobby back in her days as a college student. This lobby group targeted a pro life student with Nazi slurs in poster portrayals displaying Hitler qualities. Averil Power was the student target and she is now a Fianna Fail senator. The former Fine Gael td has expressed her reasons for being involved with a pro-choice lobby back in her college days. Lucinda Creighton believes that university students in general suffer from a herd mentality. Their youthful ideologies make them prone to joining polemical lobby groups. Their young minds are not yet mature enough to know better. Their unbridled emotive enthusiasm can often get the better of impressionable students. Fortunately for Lucinda Creighton, a maturer side has developed to the point of gaining real leadership qualities. 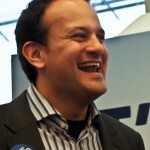 Do you think Leo Varadkar is of leadership quality? Well Pascal Donohoe could reflect on his outward actions as a politician. Good Counsel Network believes that as well as reading aloud the Sunday gospel at mass on Berkeley road, Pascal might also reflect on the scriptural message. Maybe Pascal could next of all develop a bit of backbone, like Lucinda Creighton’s. 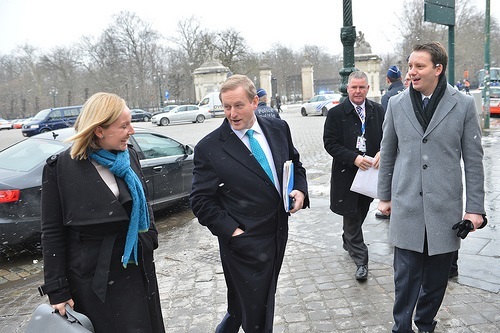 Leo Varadkar could also learn from Lucinda Creighton in terms of doing the right thing. Hiding from pro life constituents and currying favour with pro choice doctors is hardly representing Dublin 15. Lucinda Creighton has made at least two Fine Gael tds look like mice. Good Counsel Network Ireland wishes Ms Creighton well in the next general election.